Russian army There are 13 products. 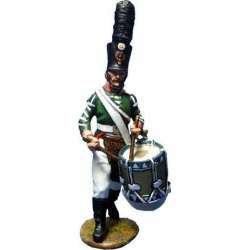 Painted 1/30th scale figure.It belongs to Napoleonic period, russian army.Reference NP 334 Smolensk regiment grenadiers drummerModeled, cast and painted in our workshop. 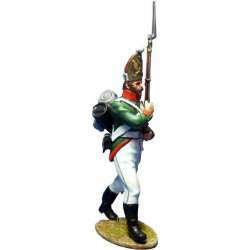 Painted 1/30th scale figure.It belongs to Napoleonic period, russian army.Reference NP 333 Pavlov grenadiers regiment officerModeled, cast and painted in our workshop. Painted 1/30th scale figure.It belongs to Napoleonic period, russian army.Reference NP 332 Pavlov grenadiers regiment NCOModeled, cast and painted in our workshop. 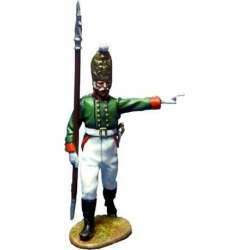 Painted 1/30th scale figure.It belongs to Napoleonic period, russian army.Reference NP 331 Pavlov grenadiers regiment marching 2Modeled, cast and painted in our workshop. 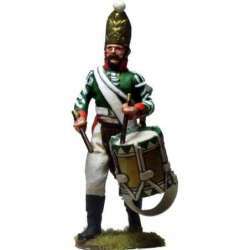 Painted 1/30th scale figure.It belongs to Napoleonic period, russian army.Reference NP 330 Pavlov grenadiers regiment marching 1Modeled, cast and painted in our workshop. 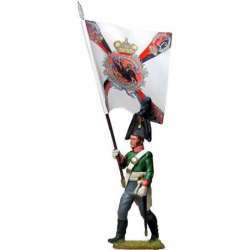 Painted 1/30th scale figure.It belongs to Napoleonic period, russian army.Reference NP 306 Smolensk regiment grenadiers private marching 2Modeled, cast and painted in our workshop. 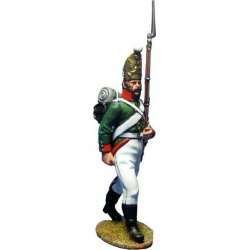 Painted 1/30th scale figure.It belongs to Napoleonic period, russian army.Reference NP 305 Smolensk regiment grenadiers private marching 1Modeled, cast and painted in our workshop. Painted 1/30th scale figure.It belongs to Napoleonic period, russian army.Reference NP 304 Smolensk regiment grenadiers private woundedModeled, cast and painted in our workshop. 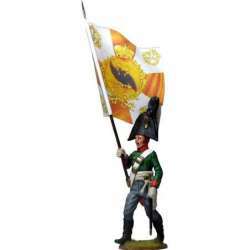 Painted 1/30th scale figure.It belongs to Napoleonic period, russian army.Reference NP 303 Smolensk regiment grenadiers NCOModeled, cast and painted in our workshop. 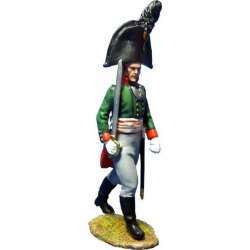 Painted 1/30th scale figure.It belongs to Napoleonic period, russian army.Reference NP 302 Smolensk regiment grenadiers officerModeled, cast and painted in our workshop.